Τhe focus is shifting from the physical to the mental and the spiritual. The Thoughts are Physically Experienced. 1) I am an observer of my own thought. 2) I am observing my body while creating the thought. 3) I am observing the changes in my body during and after the creation of the thought. 4) I can change my thought. 5) Therefore I can change my body. If the thoughts involve synapses among cells which in turn affect the system of impulse – reaction mechanism and if we treat these synapses as movement therefore as a physical action then we can say that thinking involves movement. Movement involves changes, shifts, alterations in form, shape, state, position, relationship with. If we accept that this movement goes through the whole system as a vibration, a ripple effect of alterations of state then the activity of thought causes changes in the physicality while its course. Ii is evident in the exercises where we are told to let go of any unnecessary thinking patterns that are reminding us of the difficulty or impossibility of the task, the thoughts that are focusing on the judgmental patterns that we had been identifying with ourselves or of habitual criticism, then the level of performance improves. Actually it can dramatically improve within hours, sometime minutes. The thinking patterns are broken, changed and replaced by other patterns that are focusing on the mechanism of actualizing the task, the way one should move his/her body, where s/he should place eye focus, which part of body should be more relaxed, which more alert, what kind of relationship there is every moment with the outside environment etc. Once the brain invests time on accomplishing or rather getting into the effective process towards an action, then the body changes. It changes in posture, in relationship between its parts, in center of gravity, in amount of muscular tension, in joint rotation, in extension, in flexibility. The face changes, sometimes the expression changes. The physical then changes the emotional and consequently vise versa. And then the body continues to change, to learn through every change and to experience a series of strong or less strong revelations. Maybe an arm that suddenly moved behind the back, that hasn’t moved there for a decade due to an old injury, brings a revelation (as experienced by one of my students in a private class). Maybe a tension between the eyes that was sitting there or better someone was choosing to keep it there for years, is gone or reduced. A revelation is brought. Maybe a pelvis that was holding unnecessary tension for years through forceful dance training is released and learns that can exist with 80% less effort. A revelation is burst out. This revelation has many aspects. A revelation is a realization that things can exist otherwise. Or that things already exist otherwise. A revelation causes a reaction to itself so there is change again. So there is movement. Movement by movement there is process, process by process there is evolution. The potential of self evolution appears. It appears within constant movement, in constant change in physicality, in constant change of thinking patterns, in constant realization of the thoughts altering the physicality. In an impulse-reaction process of the constant shift of thoughts and physicality we find ourselves in the Flow. Flow where we follow moment by moment the series of impulses that appear and we respond accordingly. Decreasing the disturbance from habitual thinking patterns of criticism or past memories or future anticipation we are remaining reacting in the here and now, experiencing the revelation of each moment, the movement of each moment. Funnily enough but true, constant awareness of and response to movement brings Stillness. Stillness causes the brain to relax, therefore the body to relax, to engage only with the necessary effort needed to follow the impulse reaction chain in a task and to focus only on the changes that take place in each moment. Moment is now. If we focus only on the moment, neither the past (what we did a minute ago or a memory that we had ten years ago) nor the future (what we should be doing or what we have to do the next day or what we could do in a month), then we collect experience of moment. We exist, act, respond, change, think, move, feel, breath in the moment. We live in now, now, now, now, now…..the collection of ‘nows’ is the journey, is the day, the the month, the years, a lifetime…the brighter the journey the brighter the destination. Flow brings us in the Now. The vertical time – the greatest of all pleasures. One of my students in Averto theatre lab in Thessaloniki said one evening : ” There was a moment during the ball game exercise that I experienced bliss. I had never felt this before. Suddenly, while in action, time stopped and nothing mattered and I had an immense feeling of abundance…and then it was gone.” He experienced Flow. A revelation is self-awareness. The ability to sense the changes in the physicality and therefore the changes in thinking. The ability to notice them without judgement and to engage with the new state of being. The acceptance of this new state and the decision of consciously following the future development of this change. The actual fact that there is revelation is a revelation by itself. It is essential to engage with the mechanism that can allow revelations to happen. To learn to recognize them and decode them. Sometime it takes few minutes, sometime years or sometimes it takes for ever. The revelation that happens in the body and is realized with the mind through the changes that have happened through the body ,teaches us that there can be a flow of revelation experiences. Each one affecting the other, each one adding to or developing the other, in constant movement. Movement is shift in shape, state, position and relationship with. Constant change in relationship with the self, the others and the whole. A flow of revelations can bring a flow of movement, therefore a flow of change, therefore a transformation. Sometimes in minutes, sometimes in days or years. Nevertheless a physical transformation. Before we were talking of the of the intrinsic connection of mind and body, the intellectual and the physical, the invisible and visible. 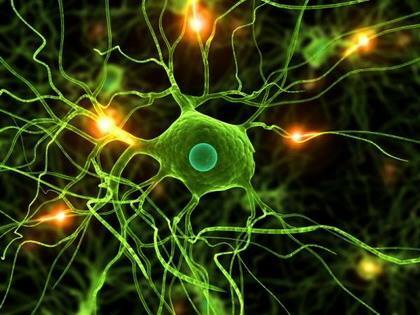 Now we can talk of the trillions of minds – brains we have inside our body. If we agree that each cell has its own brain and is in constant relationship with other cells, a constant communication then once we learn how to allow flow entering the communication and interaction of cells, the optimal relationship – as a microcosm of the flow in interaction in our lives – then we can affect our whole system comprising of the bodily functions which are in turn related to emotions, ideas, memories, tendencies, inclinations, desires, feelings. The soul being the seed of our beings unfolding gracefully in a ever adapting landscape which we may call the human bodymind.